o 프랑스 샹달프의 티 전문가들에 의해 선택되고 혼합된 제품으로 순수한 유기농 티 로 인증 받았습니다. 박하향을 자연그대로 더하였습니다. 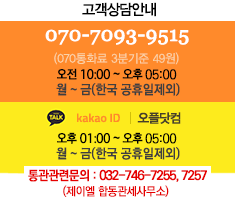 25개의 티백이 개별포장 되어 있습니다. Oregon Tilth 에 의해 유기농 인증 된 고급스러운 티 입니다. The St. Dalfour tea experts have searched the best tea producing areas in the world which are located in the Himalayas of India and the high ground of ceylon. After careful screening they have selected special pristine tea gardens where no preservatives or chemicals are used. In these gardens master planters nurture tea bushes with natural organic biomass and loving care. Only these tea gardens are used for St. Dalfour tea. Since tea is made directly from tea leaves plucked on a continuous basis during harvest (and these tea leaves are not washed), it is vitally important to make certain these leaves are free of any chemicals. Be confidential of having pure, wholesome tea when buying St. Dalfour. o Each tea bag is individually sealed in envelope to preserve it is fresh, natural flavor. o The tea bags are made with eco-friendly paper. No chemicals (which would alter the taste of the tea) touch the tea bag. o The tea bag is attached to the tag by a pure, sanitized string without the use of metal staples, thus, no metallic taste is found in the tea. o The tea is packaged in an air controlled, immaculate chamber which prevents any impurities from effecting the taste of the tea. o Organic Ceylon tea with the all natural flavor of peppermint. 산림욕하는 기분이 드는 시원~~~한 페퍼민트! 좋아요~ 처음 사 보는데 향이 괜찮네요.